Our petition to stop the Navy from killing 1,800 whales and dolphins and deafening 15,900 more over the next five years now has more than 410,000 signatures, and will be delivered on Tuesday (tomorrow). I would like to arrive at the Navy offices with 500,000 names of people who are asking for this to change. Can you share my petition and ask your friends and family who have not yet signed to add their names? Even if you've shared already, please share again. Or you can forward the note below to your friends via email. Subject: Navy to kill 1,800 whales and dolphins? And deafen 15,900 more? According to the U.S. Navy's own estimates, the use of high-frequency underwater sound for testing in Hawaii, off the California and Atlantic Coasts, and in the Gulf of Mexico will deafen 15,900 whales and dolphins and kill 1,800 more over the next five years. 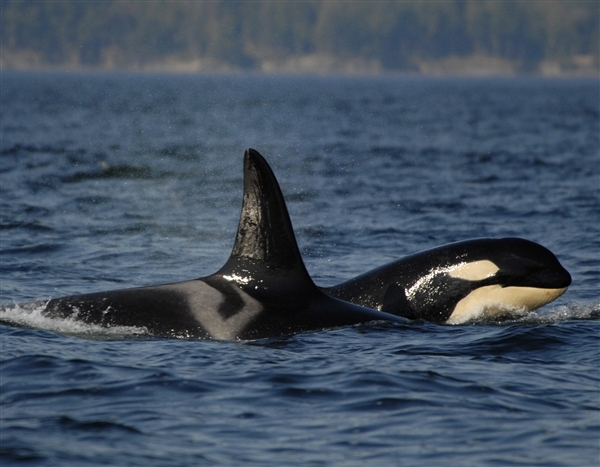 Whales and dolphins depend on sound to navigate and live. The Navy is required to include comments from the public on their Environmental Impact Statement (EIS). Your signature and comment on this petition could help stop this naval program and save the lives of these ocean creatures. But there's a deadline of July 10, so we need to hurry. Stop the killing of 1,800 whales and dolphins and the deafening of 15,900 more by ceasing the operation of the Navy's underwater sound system in the Hawaiian Islands, the California and Atlantic Coasts, and the Gulf of Mexico. This petition was created on SignOn.org, the progressive, nonprofit petition site that will never sell your email address and will never promote a petition because someone paid us to. SignOn.org is sponsored by MoveOn Civic Action, which is not responsible for the contents of this or other petitions posted on the site. This email was sent to Liz Marshall on July 9, 2012.